As I covered in the last webinar, there are two potential short-term setups for this stock market. 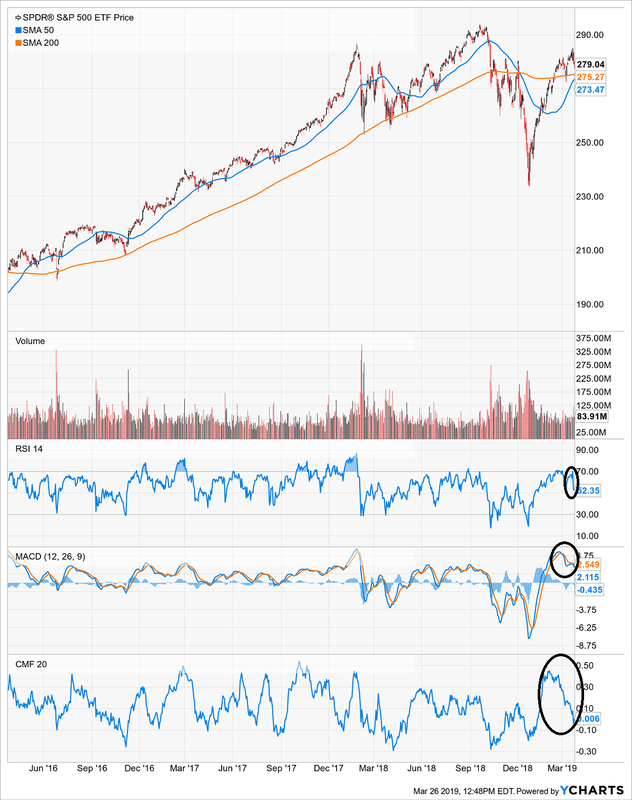 The first is a rally into summer, with maybe a hiccup, more rally and then the beginnings of a broader correction by early 2020. The second scenario is a small correction now and then a big rally into at least H1 of next year. Either way, we probably see an S&P 500 (SPY) (VOO) in the low to middle 3000s sometime in H1 next year. Either way, we probably see the S&P 500 also fall to at least the December lows, maybe 2200ish and maybe even 1600ish if a full blown crisis develops (I don’t think so, but maybe). It makes sense to understand the big picture and what the most likely scenarios are for stocks and the economy. It helps us develop an outline to work from. Even by knowing the most likely scenarios for the stock market, we don’t know what the stock market will do. Ultimately, our job is to react to what the stock market does to our favorite stocks and ETFs. When the stock market oversells our favorites, we should add. When the stock market over buys our favorites, we should trim, sell or write covered calls. We can get good clues to when turnarounds are just beginning by following basic money flow indicators and relative strength indicators. Looking at multiple time frames is helpful in this endeavor. Too many people focus on daily indicators despite not being daytraders. 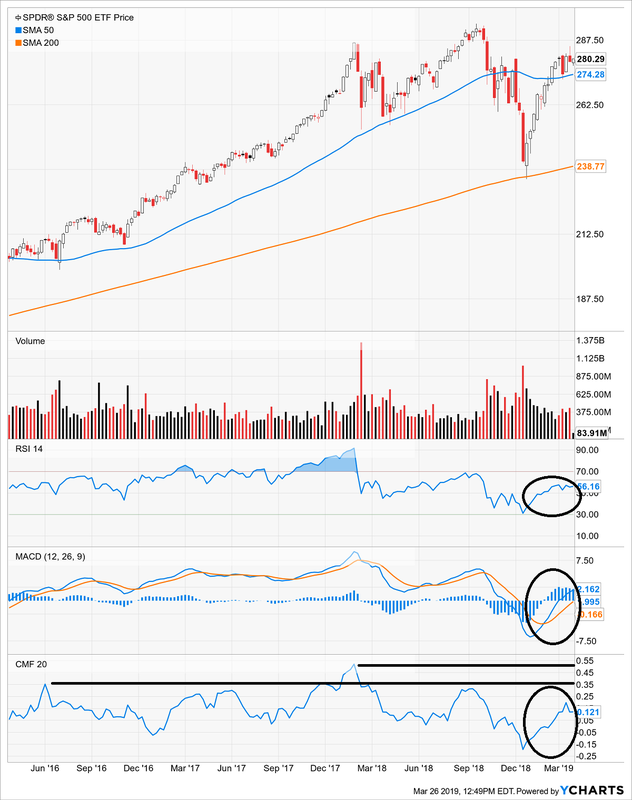 When using BarChart.com or other technical analysis, switch from a daily view to a weekly view when you look at Chaikin Money Flow. That will give you a peak at how money flows are moving over 20 weeks vs 20 days. That’s a lot more helpful for us in establishing long-term positions and trimming allocations. That daily chart would make you think run for the hills. But context is important. Are you a daytrader? No. So, what do you do? Take a deeper look. What is money flow really doing? Using weekly charts, in this case taking weekly closes going back 20 weeks (vs 20 daily closes above), we see a market that is likely in the middle of an up move. Certainly, the action the past week or so is concerning, but small pullbacks are to be expected in rallies. Take a look at Chaikin Money Flow though. There’s a lot of room to run before we would get concerned about real overbought conditions. Same with RSI. MACD is pretty neutral. That tells me that there isn’t much to do expect watch and see what happens next. If we get a further pullback and weekly money flow tails off, then we can do some defensive profit taking from our December purchases. If the market rallies higher, then we can do some defensive profit taking across all of our holdings. Short story? This seems like a case of wait and see. Don’t let recency bias cloud your decision making.